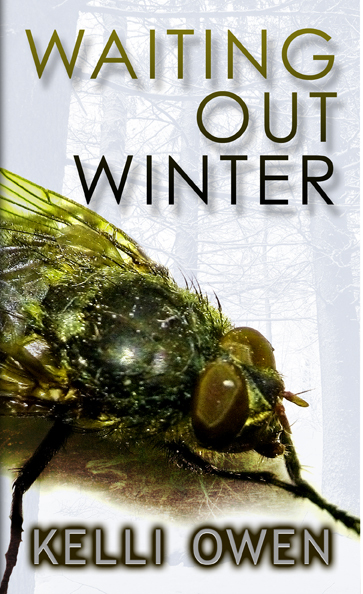 Bundled together, these stand-alone novellas chronicle the story of Kelli Owen’s insect apocalypse in Northern Wisconsin. You do not have to read the first to enjoy the second, but it is highly recommend you do read them both… so now they’re being offered together. 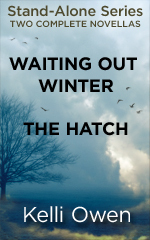 Nick and the boys return from the summer’s last hunting trip to find the streets empty, the beachfront and park abandoned, and the windows of their own homes boarded shut. 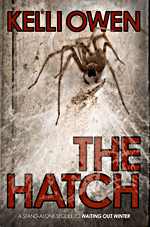 The hunters have become the hunted, in an apocalyptic plague that pits man against beast—very tiny beasts. And Nick is determined to keep his strength, courage and family alive during what could very well be the last winter of their lives. Nick Kontis and his remaining family members have survived winter–have outlived the threat of deadly infected flies–and are heading toward presumed safety. They quickly find all exit points blocked, the perimeter burned, and learn the flies were only the beginning, as Mother Nature has stepped in to correct mankind’s mistakes. Her weapon of choice: spiders. With thick webs covering the spring landscape, and lack of any communication leaving them on their own to guess whether or not the spiders are as lethal as the flies they’re eating, they make a new plan. Fleeing in a new direction they run into another party of survivors. And what was once a breakdown of society becomes an exercise in rebuilding.